Battery operated yard candles combine the convenience of battery lights with the beauty of real candles. If you are looking for yard candles that are both practical and attractive then why not consider battery operated yard candles? Battery operated candles provide an interesting innovation and are the perfect solution for people who love the flickering of candlelight but don't want the worry and concern that naked flames bring. An alternative name for battery operated candles is flameless candles. What Are Battery Operated Yard Light Candles? Battery operated candles are a recent invention and designed to address some of the problems described above. Unlike real candles, battery operated candles are formed from a material such as plastic or acrylic. This makes them hard wearing but also not too heavy. Some battery candles are created from wax which gives a very authentic look. At the top of the battery operated candle is a small bulb designed to replicate candlelight. Some candles use a flickering light. This flickering light is a popular choice, because it gives a very realistic impression of natural candlelight. A setting option on some battery candles allows this flickering to be set either on or off. 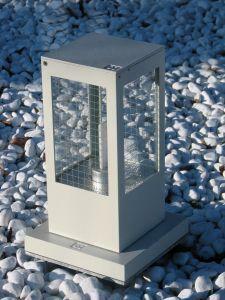 Lanterns - an extremely popular yard light candle is one that fits into a lantern. Some battery operated yard candles come complete with a lantern and this makes them a convenient choice. Styles range from the very traditional through to contemporary styles. The lantern may be fitted with a battery operated taper candle. Large Hurricane Candles - these battery operated candles have been designed to be placed on a flat surface around a yard or patio. These are great for parties and barbecues. Votive Candles - battery operated votive candles are perfect for putting into yard lights. They give out a pleasing glow and will fit into any standard votive candle holder. This makes these candles extremely versatile and a good option for people who already have a supply of candle holders. Fire hazard - unattended lit candles can be a fire hazard. This can be a particular problem in dry areas where fires can easily start. Dangerous to young children and pets - real candles can get knocked over or brushed against by young children and pets. This is a danger to the children and pets and is also a fire hazard. Dependant on weather - very bad weather conditions can make the burning of real candles in the yard difficult. Very windy days, for instance, may cause a candle to either blow out or to blow quickly and unevenly. Damp days can stop a candle from burning at all. Battery candles will avoid these dangers and inconveniences yet still provide the feel of real candles. Battery operated yard candles should be given a little extra care to ensure that they continue working for many years to come. Regularly check the candle and ensure that it is not damaged. If a candle is damaged then water may get into the workings. Remove the battery if the candle is not going to be used for a long time. This will help to preserve the lifespan of both the candle and the battery. Give the candle an occasional clean. A dirty candle, particularly the flame part, will lose its glow. Keeping it clean will ensure that it can emit the maximum amount of light.